OLD MAN: Wat sé jy? Molo my kind. COUNCILLOR: Sorry to disturb, but what is this place? OLD MAN: Hierdie plek is Sun City. COUNCILLOR: Seriously? Like that gambling place for rich people? Or the prison? OLD MAN: Ewe … Dis maar a gamble to live here, but actually maybe it’s more like a prison. That’s the start of the theatre piece, Ukunuka, that’s going to be performed 30 times in the next eight weeks across Makhanda (Grahamstown). Scripted by Anton Krueger, it was co-directed by Luvuyo Yanta and Lalu Mokuku, all from the Rhodes University Drama Department. 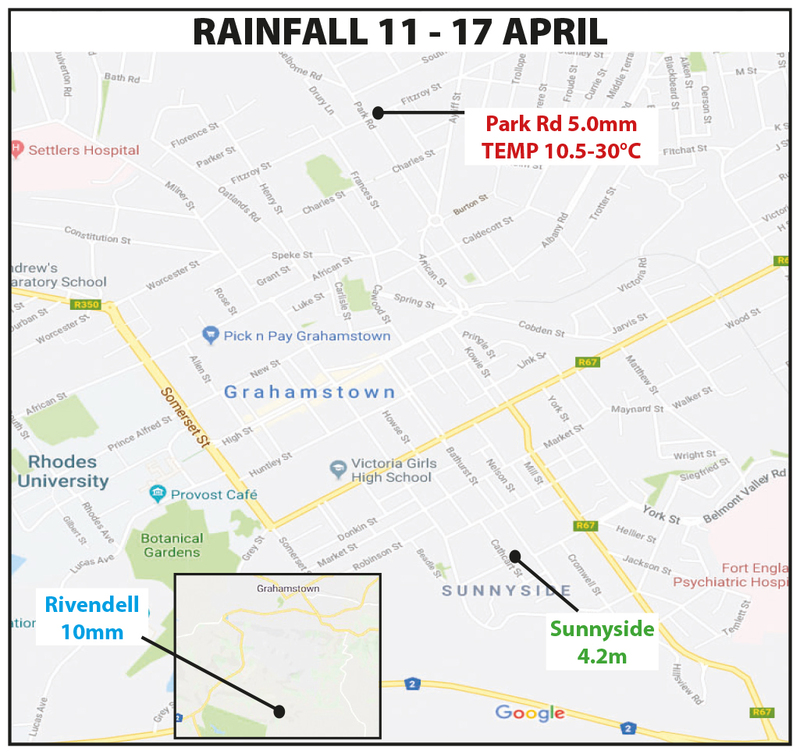 The project was launched in the Rhodes University Drama Department’s outdoor amphitheatre on World Day For Theatre For Children and Young Audiences, 20 March. It is funded by the Open Society Foundation. 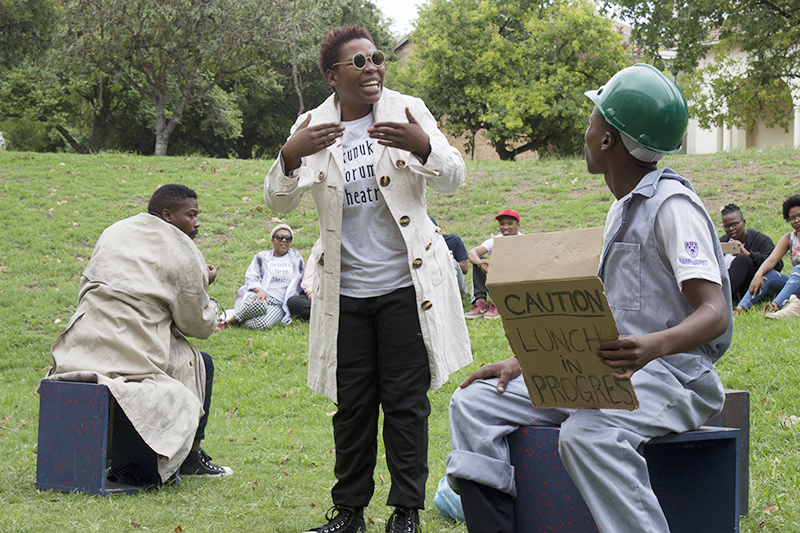 Featuring ghost workers, undrinkable water and rivers of poo, among other things, the interactive play is a chance for its intended audience of ordinary people on the street to “question, laugh, reflect and offer solutions” to the s…t that Makhanda residents face every day as they go about their lives. And yes, there are fart jokes – but they are entirely appropriate given that many of us cross streams of raw sewage to get to work or school and smell the s…t every day. The play puts on stage the characters – or rather the stereotypes – we’re so familiar with. Audiences will recognise the reflex narratives from social media diatribes, braai conversations or even our own sitting rooms: overpaid deployees who’ve never met the people they represent; disgruntled municipal workers who take three-hour lunch-breaks and work after-hours to score overtime; and people who don’t get jobs at the municipality because they’re Coloured. These issues often trigger a pitchfork reflex in the Facebook village and if you argue about them at the braai, you’ll probably get beer in your face. What Ukunuka tries to do, explains lecturer in applied theatre, Lalu Mokuku, is to break that passive-aggressive cycle and encourage citizen audiences to engage in a very direct way with the issues. The play is short and after Wednesday’s launch performance, narrator and event MC, Ubom!’s Nox Donyeli, explained to the audience that they would re-do the play as “spect-actors”. “At any point you as an audience member can stop the play,” she said. The audience could either instruct the actor what to do differently to change the outcome, or replace the character and act out what they thought should have happened. The script is an exposition of a range of issues residents deal with in various parts of Makhanda, but is set in the ironically named Sun City. For this reason, locals will be quick to pick up the artistic licence (and sometimes geographical inaccuracy) in bringing them together in one location. “Ukunuka” in Nguni languages means not only “to smell”, but also to detect, divine or seek out. No journalist would advocate an interpretive, creative approach to investigating corruption: it took grit, discipline and extensive research over many years to unpick and uncover the web of State Capture. I honestly can’t remember if it was on Facebook or at a braai (and I don’t own a lounge) – but someone pointed out this week that it was a world renowned humanitarian relief organisation that had come to Makhanda’s rescue at the height of our water crisis. “That puts us right there alongside famine-hit Sudan, flood-ravaged Mozambique and war-torn Somalia,” they said. In November 2018, the Department of Water and Sanitation warned in a meeting at Noluthando Hall in Joza that because of the sanitation disaster that spans the city, there is an outbreak of waterborne disease waiting to happen in Makhanda. This is a life and death matter and our team at Grocott’s Mail is doing our best to investigate this with limited resources. Meanwhile, in the midst of Makhanda’s rivers of sewage, mountains of rubbish due to a prolonged work stoppage by most of the city’s municipal workers, and residents’ desperate quest for water, there survives an extraordinary spirit of resilience and the determination to counter the rot of incompetence, apathy or corruption. You’ll find that spirit among neighbours helping each other hold it together; the NGOs and individual volunteers who pick up the pieces when our social and legislated institutions fail; teachers and school principals who keep classroom doors open and the light of learning burning; and talented and dedicated staff who remain working in nightmare conditions in government organisations because they want to make a difference. Solutions require discipline, science and persistent effort. Journalism, good management and focused activism depend on these. But solutions also require people who are free to think and act out of their normal patterns and paradigms. It is the arts more than anything else that has the ability to unlock that power, particularly when music, literature, art, dance and theatre is made accessible to ordinary people. 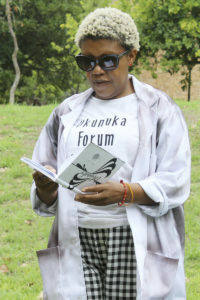 Applied Theatre Lecturer in the Rhodes University Drama Department Selloane (Lalu) Mokuku is the driving force behind the theatre for social justice intervention, Ukunuka, which is funded by the Open Society Foundation. The project was launched in the Drama Department’s outdoor amphitheatre on World Day For Theatre For Children and Young Audiences, 20 March. Later that day ASSITEJ, an international organisation that promotes theatre for children and young people, announced Mokuku as the winner of their second African Playwriting Competition. ASSITEJ, in a media release, described Dipalo by Selloane (Lalu) Mokuku (South Africa) and Ginni Manning (UK), and mentored by Kelsey Mesa of the Kennedy Centre, US, as a powerful, well-crafted and intriguing text for teen audiences. It will be produced and presented at the Cradle of Creativity 2019, a Biennial International Festival of Theatre for Young Audiences in South Africa to be held at the Baxter Theatre Centre in Cape Town from 20 to 25 August 2019. Almost 40 plays were submitted from all over the continent, including Kenya, Malawi, Mozambique, Nigeria, Sudan, South Africa, and Zimbabwe. A shortlist of eight plays was announced in December 2018, including three from the greater African Continent, and five from South Africa. 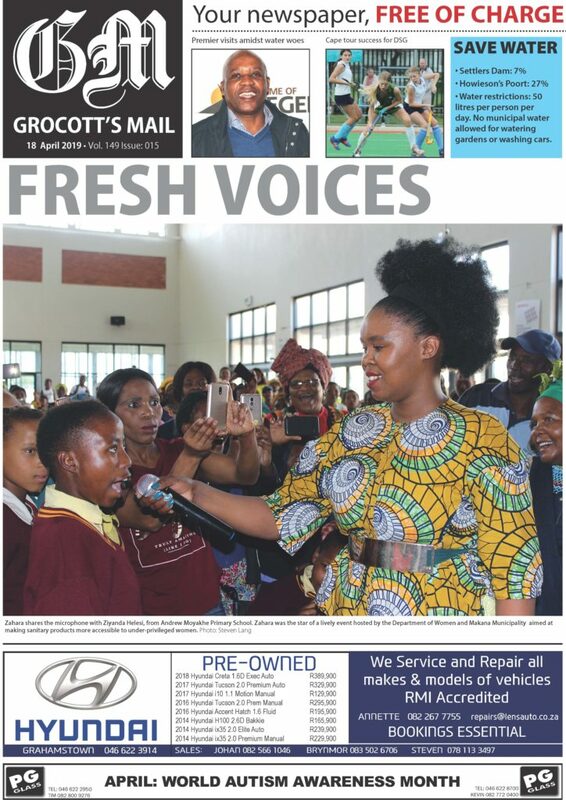 The ASSITEJ vision is that South African children and young people will have access to quality, performing arts especially designed for them, contributing to a more empathic, engaged and creative society.